Isaac was one of the main characters in the 2006+ TV series Heroes. The series features the emergence of rare super-powers in a realistic modern world. Base Of Operations: 215 Reed St Apartment 7, NY, NY. Height: 5’11” Weight: 170 lbs. Isaac Mendez has the ability to paint the future. While he is painting, his eyes become milky white and he is entranced in his vision. When he finishes, the painting is taken as a snapshot of some future event. At first, Isaac believes he must be high on heroin in order to use his abilities. However, some of his sketches in his book come true even though he is not high while sketching them. Isaac Mendez was a budding artist. He had begun to gain some notoriety with the comic book, 9th Wonders!. Thus, he was slowly moving into more mainstream art with the help of art dealer Simone Deveaux. They soon fell in love and started a relationship. Everything would have been wonderful if it weren’t for Isaac’s problems with heroin. Isaac tried to clean up. He was in and out of rehab several times before he made an astonishing discovery. A woman confronted him angrily at one of his showings. She claimed that he had painted her being hit by a bus. After arguing, she ran out of the museum into the road. Not paying attention, she was struck by the very bus in the painting. Soon, he realized that all of the canvases he painted while high were starting to come true. Frightened by the dark prophecies portrayed in his paintings, he tried to destroy them. Thus, he fought with Simone, who wanted to save them for their artistic value. Isaac painted a scene depicting an apparent nuclear explosion in New York and ended up overdosing. With the help of Peter Petrelli, the nurse taking care of Simone’s father, Isaac survived the overdose. He began to come to terms with his visions. Isaac decided to dedicate himself towards preventing the explosion he painted in New York. Believing Isaac’s stories about painting the future were just an excuse to continue using, Simone ran out of patience. She left Isaac. She began to express feelings for Peter, kissing him that night. Simone showed up the next day asking for paintings to sell. 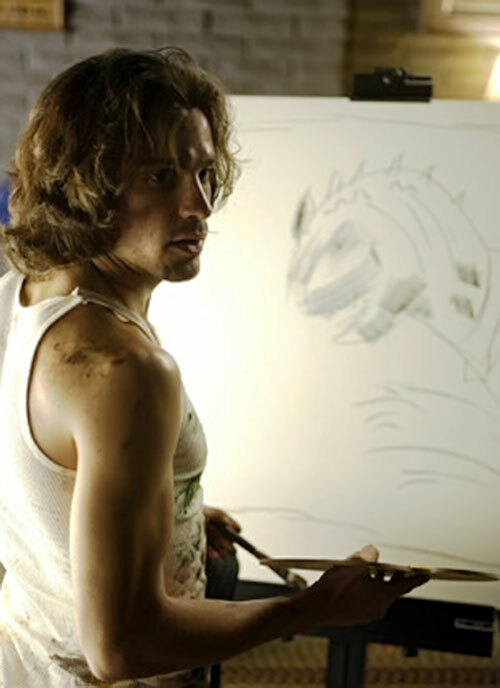 It turned out that Isaac had made a sketch of her kissing Peter and he confronted her about it. After fighting, she took one of his new paintings, even though he wanted her to take one of his older paintings. He claimed he needed the new ones to tell the future, but she felt they had more artistic value than his older ones. 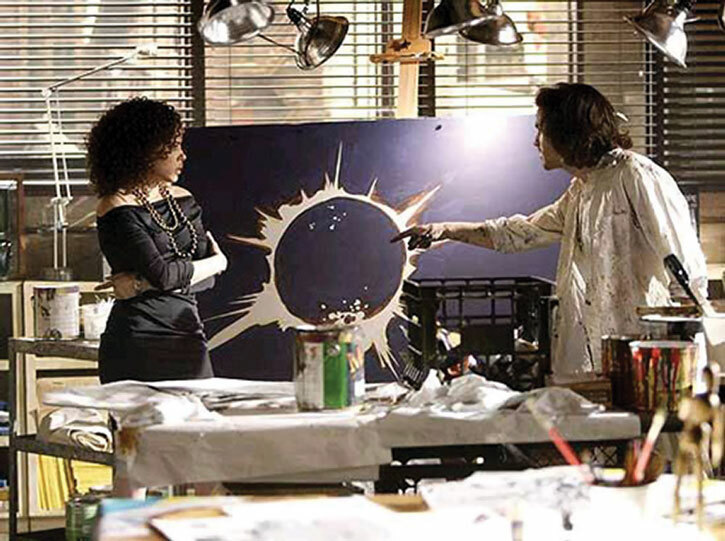 Peter returned to Isaac’s loft with Mohinder Suresh, trying to prove to him that there is an artist who can paint the future. Isaac was in a trance at the time, painting an image of a cheerleader and a threatening shadowy figure, and never came to the door. Peter returned later. He showed Isaac that he could now enter the same sort of trance, proving to Isaac that he could really paint the future. With Peter there, Hiro Nakamura called with a message for Isaac. Peter revealed that he had been visited by a Hiro from the future, who had told him “Save the cheerleader, save the world”. Peter began to comb through the paintings, and they realized that the one they need is one that Simone took to sell. Later, Eden McCain showed up claiming to be a fan. She convinced Isaac to go with her to Primatech Paper, a secret facility where they studied people with powers, where he could get cleaned up. Isaac met a mysterious man in horn-rimmed glasses there named Mr. Bennet. Isaac was concerned that if he got clean, he wouldn’t be able to paint the future. But Mr. Bennet and Eden convinced him otherwise. Unfortunately, it was taking time for him to get clean and use his ability at the same time. And Mr. Bennet needed his help. It turned out that Mr. Bennet was not only very knowledgeable about powers, but his daughter was the very cheerleader they were trying to save. Growing impatient, he used Eden (who had the power to have people do what she says) to convince Isaac to use drugs one last time. The goal was to find out what was going to happen to the cheerleader, Claire Bennet. Isaac got high, but instead of a cheerleader, he painted an image of an exploding man. Frustrated, Mr. Bennet wanted Isaac to paint more, but Eden refused to make him take any more drugs. Isaac began to relax and sketch for the pure joy of it. Soon after that, Eden came to him, giving him his cell phone and security card. She explained that the cheerleader had indeed been saved. Eden was leaving and was giving him freedom. … and save the world. Isaac left and met Hiro and his friend Ando at a bus terminal in Midland, Texas. Hiro showed Isaac a finished issue of 9th Wonders! that Isaac hadn’t published yet. Hiro revealed that he had visited a future where Isaac had been killed. Over the course of the conversation, Isaac realized that some of the sketches he had been doing (while clean) were of events related to Hiro and had come true. With Hiro’s encouragement, Isaac painted a new painting when he got to the hotel. It showed Hiro facing a dinosaur wielding a katana. Upon his return to New York, Simone arrived at his loft with Peter’s brother, Nathan. Isaac told them he had been to rehab and could now paint without the heroine. Hiro showed up, not having been able to get the katana from the painting. He excitedly greeted Nathan as the “Flying Man” he had met previously. It turned out an art collector named Linderman had the sword Hiro was seeking. Thus, Simone suggested Hiro be the courier to deliver a painting that he bought. Isaac started trying to find Peter at the behest of Mr. Bennet. He painted several canvases that seemed to just show locations, but eventually painted one with a half-invisible Peter. Realizing all the paintings had contained Peter, he called in Mr. Bennet. Isaac explained he wasn’t sure whom he could trust, but that he thought Peter would be the cause of the explosion. Mr. Bennet gave Isaac a gun to shoot Peter with. He also convinced him that Peter could be dangerous. Peter showed up in Isaac’s apartment shortly after that. He had encountered Mr. Bennet and escaping him. Peter and Isaac argued and fought. Isaac shot at him but hit Simone, who had come in without anyone noticing. Peter escaped, and police showed up to investigate the gunshots. Mr. Bennet arrived with Candice, whose power is to look like anyone else, in the guise of Simone. They convinced the police to leave and assisted Isaac by disposing of the body, and providing apparent proof that Simone was going to be “traveling in Europe”. Isaac entered a prolific painting period. 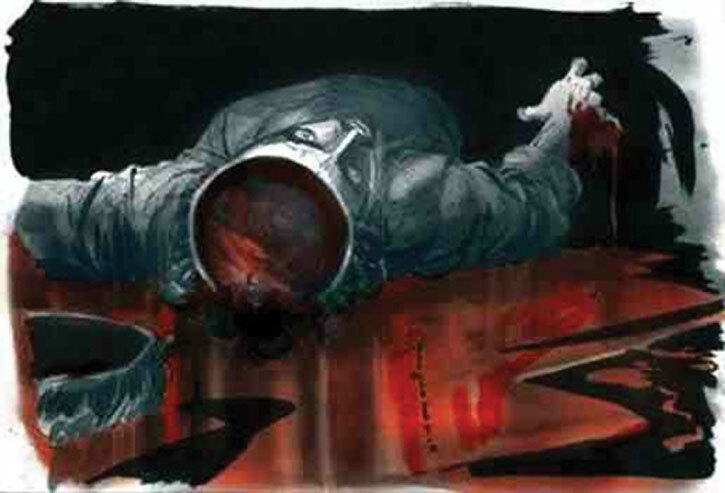 He discovered one where he was dead with his head sliced open, much like the future Hiro had warned him about. Isaac sent several portfolios to his publisher and gave a sketchbook to the courier as a gift, since he was a fan. He also apparently sent out and/or sold a series of eight paintings around this time as well. Isaac painted several more pictures with his head sliced open. He was reviewing them when Sylar arrived. Sylar made a comment about most people screaming. Isaac calmly responded that he had accepted his fate. 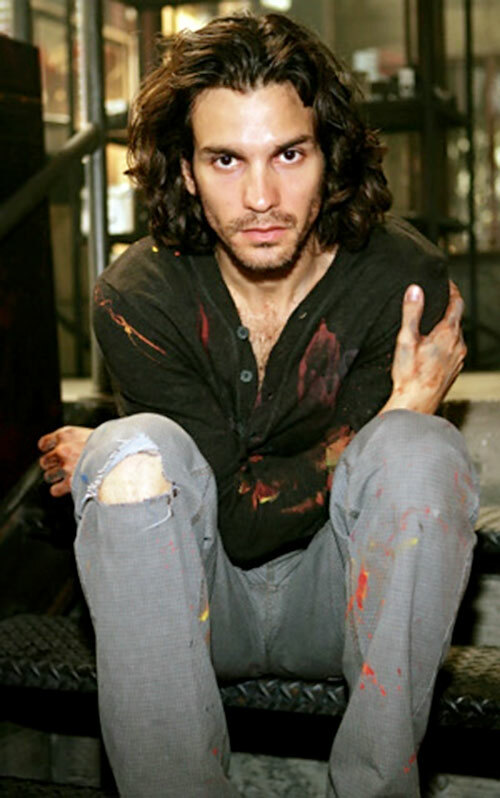 He revealed that he had also painted Sylar’s death, but refused to show him. Sylar killed him and took his power, fulfilling the prophecy in the painting. 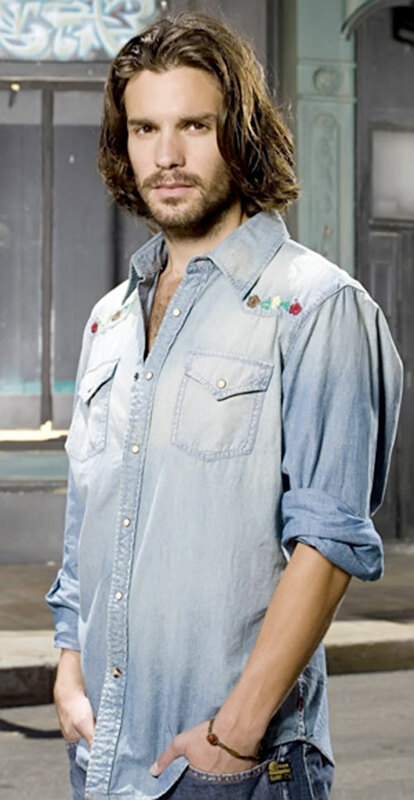 Isaac is a handsome, rumpled artist with shaggy brown hair and often several days of facial hair growth. Isaac is intent on his art and his intentions to save New York from his prophetic visons no matter the cost. He even manages to focus enough to give up his heroin addiction (at least temporarily). He could be dropped into the DCU as is, prophetic visions and all. Alternately, his comics which have scenes from the future could be all that make an appearance. Precognition and Remote Sensing are only visual images. Can not remember what he sees when using his powers. The stat in parenthesis with his painting skill is only usable with his Precognitive powers. Headquarters (His Loft), Rich Friend (Simone), Sharp Eye. Simone Deveaux (High), Peter Petrelli (Low), Noah Bennet (Low), Eden (Low), Hiro Nakamura and Ando Masahashi (High). SIA (Heroin Addict), Guilt (Not being able to prevent earlier events he predicted), Uncertainty, Traumatic Flashbacks (Uluru, a rock monster he sees in his visions and is in 9th Wonders!). Art supplies, heroin and a revolver given to him by Mr. Bennet. 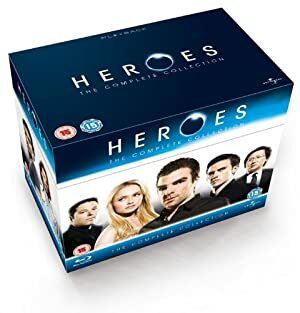 Source of Character: Heroes TV show as portrayed by Santiago Cabrera . Helper(s): wikipedia; Heroes wiki ; NBC.com .